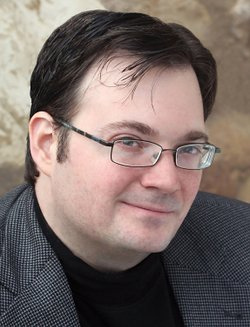 Literary Guest of Honor Brandon Sanderson was finishing his thirteenth novel when Moshe Feder at Tor Books bought the sixth he had written. In 2005. Brandon held his first published novel, Elantris, in his hands. Tor also published six books in Brandon’s Mistborn series, along with Warbreaker and then The Way of Kings, Words of Radiance, and Oathbringer, the first three in the planned ten-volume series The Stormlight Archive. Five books in his middle-grade Alcatraz Versus the Evil Librarians series were released by Starscape. Brandon was chosen to complete Robert Jordan’s Wheel of Time series; the final book, A Memory of Light, was released in 2013. That year also marked the releases of YA novels The Rithmatist from Tor and Steelheart from Delacorte, the first book of the Reckoners trilogy, which concluded in 2016 with Calamity. Currently living in Utah with his wife and children, Brandon teaches creative writing at Brigham Young University. He also hosts the Hugo Award-winning podcast, Writing Excuses, with Mary Robinette Kowal, Howard Tayler, and Dan Wells.